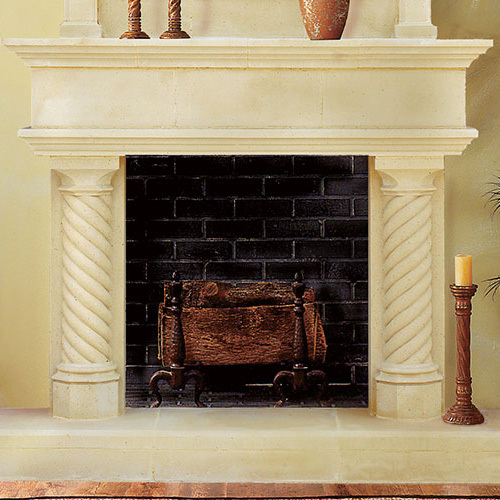 Commanding spiral columns support a sleek and traditional mantel, elevating your fireplace as the defining presence in any room. For those that seek a regal and classic design blended with simple lines and subtle architecture, the Cordova fireplace surround is unmatched. Look how the two prominent columns blend the strength of the base with the simplicity of the mantel above. It’s a seamless addition to spaces in need of an elegant lift. Ask about our customization options! Thanks for all your help in selecting and ordering my fireplace surround… It will be the centerpiece of my already dramatic living room.